Nicolay Nedrelid is an experienced finance and strategy professional. 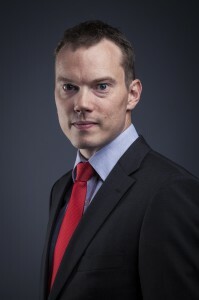 He has more than 10 years of professional experience from Norway and Switzerland, covering various roles in the financial services industry and the internal strategy department of a multinational corporation. He started his career as a sell side financial analyst covering Norwegian equities for the Oslo based brokerage Handelspartner Securities where he was responsible for the coverage of banks and financial services, IT and telecoms and consumer staples and consumer discretionary goods. He subsequently moved to the buy side, working as a private equity analyst for Valartis Asset Management, looking at investment opportunities mainly in Russia and other countries in the CIS. While at Valartis he was part of the operational team running ENR Russia Invest SA, an SIX Swiss Exchange listed investment fund. He played an integral role in the spin-off of ENR Russia Invest SA from Growth Value Opportunities SA in 2007 and its subsequent listing as a separate entity. After 5 years in the financial services industry, Nicolay moved to the corporate sector, joining the strategic planning and corporate development department at Hertz. There he was a core member of the team responsible for the strategic planning process in the international division, building a planning model and serving as a point person for the development and consolidation of the division’s strategic plan. He was involved in a number of M&A transactions, mainly with a focus on modeling and valuation, and he built business plans for strategic initiatives, covering new products, market segments and geographies. He graduated with a BA (Honours) in Business Studies from The University of Sheffield and has a Master in International Business from the Grenoble Ecole de Management and an MSc in Financial Markets and Intermediaries from The University of Toulouse 1. Upon leaving Hertz, Nicolay founded Nedrelid Corporate Advisory, with the ambition to provide high-quality, independent advisory services.